We LOVE The Inn at Oneonta. We don’t just love the beautiful scenery that makes a perfect backdrop for a wedding ceremony and reception but we love the people who make everything run flawlessly on a wedding day. As we were interviewing Michelle, the owner of The Inn at Oneonta, I couldn’t help but notice how her answers to our questions fall in line so perfectly with our own values and how we feel about our brides and grooms. 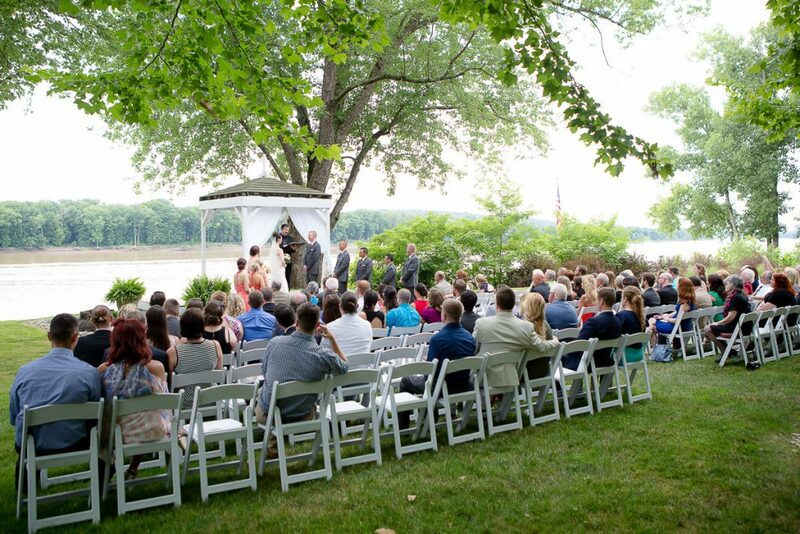 Take a moment and meet Michelle and read about one of our favorite Kentucky wedding venues. Q – What do you love most about your venue and what is one interesting fact about The Inn at Oneonta? A – I love the energy of the atmosphere at The Inn at Oneonta, that brings family and friends together. We are situated along the Ohio River with breathtaking scenery at every turn. The “Inn” is a historic venue, as it was built in the 1850’s, and once was once a stop-over for railroad and steamboat travelers. Q – How many guests can The Inn at Oneonta accommodate? A – We can host events with up to 350 guests and have sleeping accommodations onsite for up to 20 guests for a weekend stay. We provide award winning food and beverage services, which allows you to rest assured that your event is in good hands! YES, the food is amazing! We have had it and it does not disappoint! A – Owning and operating our venue fills me with such pride and joy. It takes a village to make our venue run successfully, and being a small, family owned business, we work a lot of hours and we pour our hearts and souls into each and every event. We work so closely to ensure every detail is covered, every step of the way, and we get to know our clients and their families through that process. We are inviting you into our home to make memories that you will cherish for a lifetime. It’s the thank you and hugs and most importantly, the visits from time to time from past clients, just to say “hi”, that makes us most excited! A – Relax and enjoy yourself. Don’t get hung up on the small details that will stress you out. Click here to learn more about how AJ Studio can photograph your wedding or special event. Click here To learn more or to book The Inn at Oneonta. This entry was posted in Wedding venues and tagged Cincinnati Wedding Photographers, Kentucky Wedding Venues, The Inn at Oneonta.